We love to travel and are always planning our next getaway. Sometimes we forget how much fun it can be to explore our hometown. This will be one of a series of Hometown Tourist posts, where we share our favorite activities, shops, eateries, and more! First up is Carmel Valley. Located 12 miles inland, the Village has over 25 wine tasting rooms, a bunch of restaurants and bars, and some great places to stay. You can't beat the summer sunshine here, but it is a great place to visit any time of the year. This is our hometown and we hope you enjoy! Cowgirl Winery- This tasting room's name says it all. The atmosphere is country chic and their cowgirl flight is our flight of choice, not to mention they have chickens roaming around! Check out their Facebook for deals and events! Here is another of our post about it. Talbott Vineyards- Here is a tasting room even your guy friends will enjoy! The walls are covered in motorcycle memorabilia and antique motorcycles the owner Rob Talbott has restored himself. Mercy Vineyards- A quaint tasting room with a bold taste! We love this place for many reasons, from its unique vineyard soil, (or lack there of, the vines are planted on a river rock bed), to its array of tasty wines its a must visit! Not to mention the owner Mark is great and will answer all your questions. Joyce Vineyards- An upbeat tasting room with some awesome wines! Eve worked in the tasting room in 2011 and we have loved their wines ever since. Not to mention, Ivy's boyfriend is the assistant winemaker. One of our favorites is their rosé but it sells out quick! They often team up with other local businesses to host awesome parties (check their Facebook). Their upcoming soirée is a "speakeasy" co-hosted by another favorite local company, Bar Cart Cocktail Co. (check out our Champagne Cocktail recipe featuring their tasty bitters here). Jarman- For the full vine to bottle experience, Jarman offers a 1-hour tasting in their wine caves for just $50, and for $75 you can take an ATV tour of their estate vineyards ending in a tasting. The vineyard is located on one of Carmel Valley's oldest and most famous ranches, Holman Ranch. They hold beautiful weddings and events, and have a stable where Eve keeps her horse Seamus! Corkscrew Cafe- $$ Every evening from 5:00-6:00PM they serve up 1/2 price pizzas they make in their giant wood fire pizza oven (try the meyer lemon pizza). Other favorites of ours are their roasted garlic appetizer, trout entree, and short ribs. If the weather is nice, request to sit in their courtyard. Will's Fargo Restaurant- $$ Your good old steakhouse. Its interior has a rustic saloon feel we love! Ivy's favorite dish is the small steak bites and Eve's is the escargot, although you can never go wrong with anything chef Greg makes! We also recommend their happy hour for half-price saloon menu and drinks! Taqueria Del Valle- $ Locals all know it as "The Taqueria". Locally owned and operated for over 20 years, Lucy makes everyone's favorite Mexican food in the Valley. Get the chicken burrito and prepare to get your mind blown! Garland Ranch Regional Park- This park is a favorite for families and dog walkers, as well as a great place for a hike of many difficulty levels. Take the Mesa trail for some spectacular views of the valley! Bernardus Lodge & Spa - This is never be a bad choice. We suggest getting the Bernardus Essential Massage where you can customize your own unique message oil fragrance! Go early so you can enjoy the facilities and check out the lodge's new restaurant Lucia for a cocktail afterwards. Open mic night at Valley Greens Gallery- Get a craft brew and chill out to some music every Tuesday evening. They also double as an art gallery with some interesting, and sometimes out-there artworks. Shopping- There are a few cute shops and art galleries scattered between the many tasting rooms, though we do most of our shopping in Carmel-by-the-Sea. Country Garden Inn- $ A charming little inn right in the Village with a complementary breakfast (8:00-10:00AM) and a wine and cheese hour every evening (5:00-6:00PM). 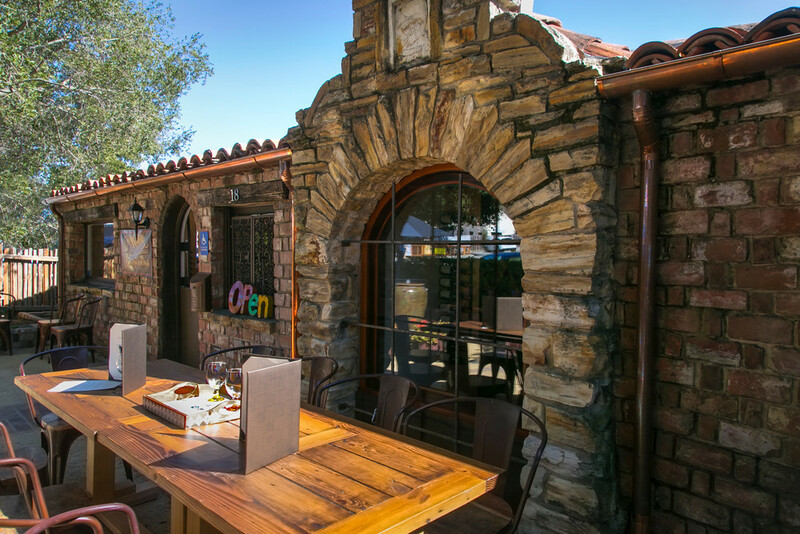 Los Laureles Lodge- $$ This rustic lodge and restaurant is the original lodging of Carmel Valley. The lodge dates back to the 1830s, and the original family are the same that created Monterey Jack Cheese! This is a great place to hang out by the pool in the summer and enjoy the sunshine. Bernardus Lodge & Spa- $$$ To experience real California luxury, stay in one of the suites of villas available here. Each room features a fireplace, two-person soaking tub, and fine Italian linens. See Activities above for info on the restaurant and spa. Next time you get the urge to explore, take some time to check out your own hometown. You might be surprised by what you find in your backyard! Older PostWarm Weather Wish List!